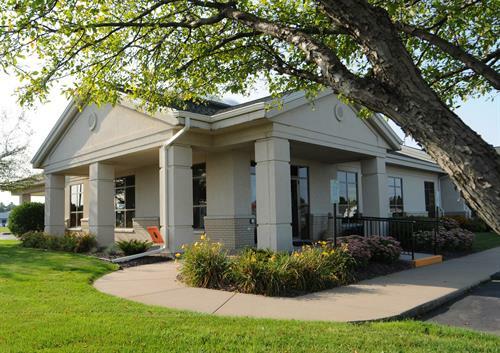 Non-profit financial institution providing members with a full range of financial services, lower loan rates, higher savings rates & fewer fees. 1st CCU donated a utility trailer, complete with signage, to the Bangor High School FFA Chapter. They trailer is used in many ways, including transport and storage in support of the community garden. 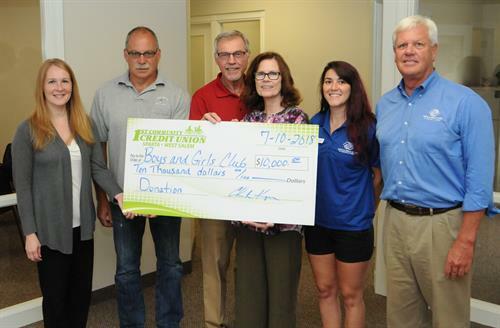 1st CCU proudly donated $10,000 toward the new West Salem Boys & Girls Club facility and our staff enjoy volunteering at the club periodically. Picture taken at the 2019 Annual Meeting. 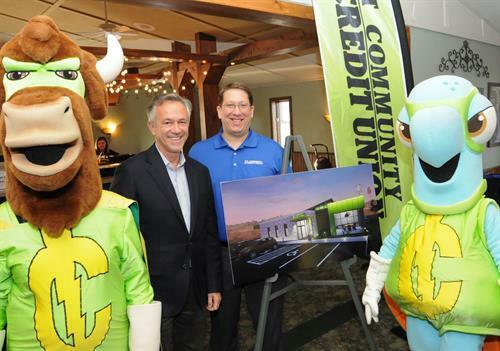 WI Credit Union League President Brett Thompson and 1st CCU President Brad Bauges pictured with characters from 1st CCU's Centsables Youth Savings Program, along with a drawing of the new Tomah branch to be constructed later in 2019.